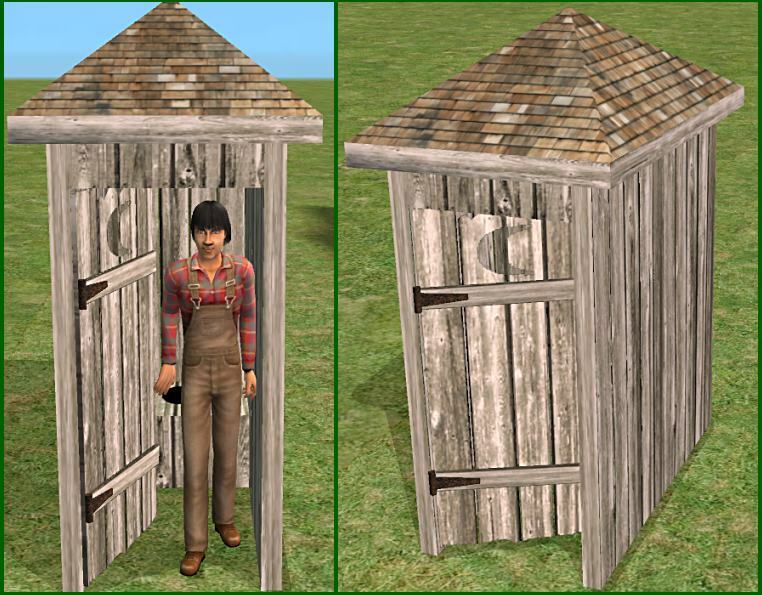 Your Sims don't have indoor plumbing? No problem, just put one of these in the backyard and they can still take care of life's necessities. The outhouse doesn't require any expansion packs. It needs a flat 3 tile area, two tiles for the outhouse and an empty tile in front. It will be found in the plumbing category. The mesh is built from scratch in MilkShape. If you are posting your work here, link to the thread so people can get the mesh. If you are posting on the Exchange, you should also link to the thread since meshes do not always package up properly in complete Sims and Lots.